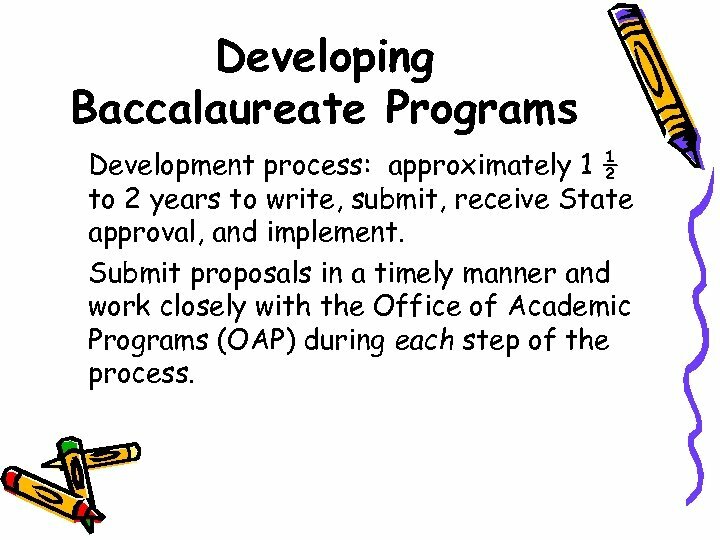 Developing Baccalaureate Programs Development process: approximately 1 ½ to 2 years to write, submit, receive State approval, and implement. 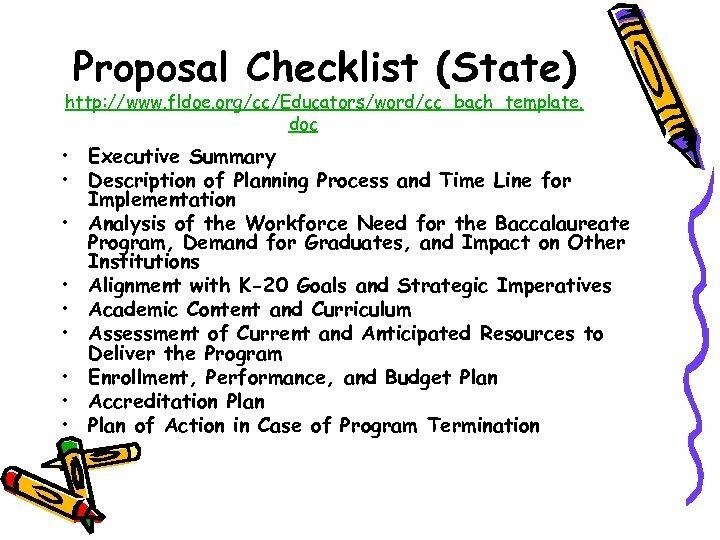 Submit proposals in a timely manner and work closely with the Office of Academic Programs (OAP) during each step of the process. 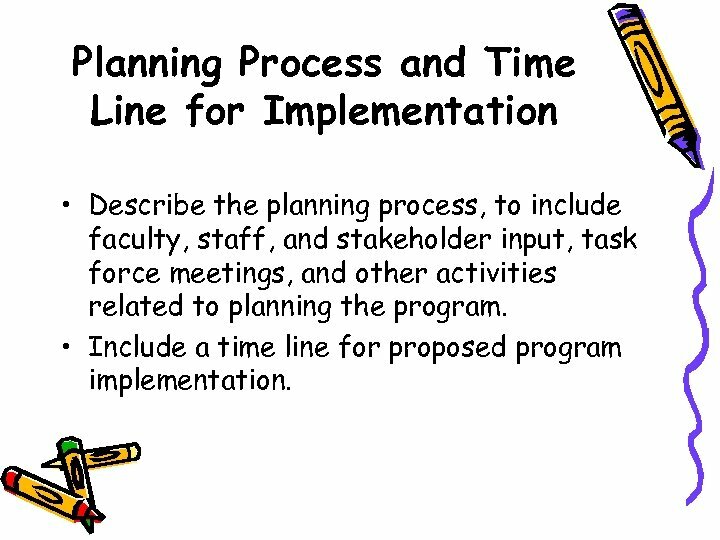 Planning Process and Time Line for Implementation • Describe the planning process, to include faculty, staff, and stakeholder input, task force meetings, and other activities related to planning the program. 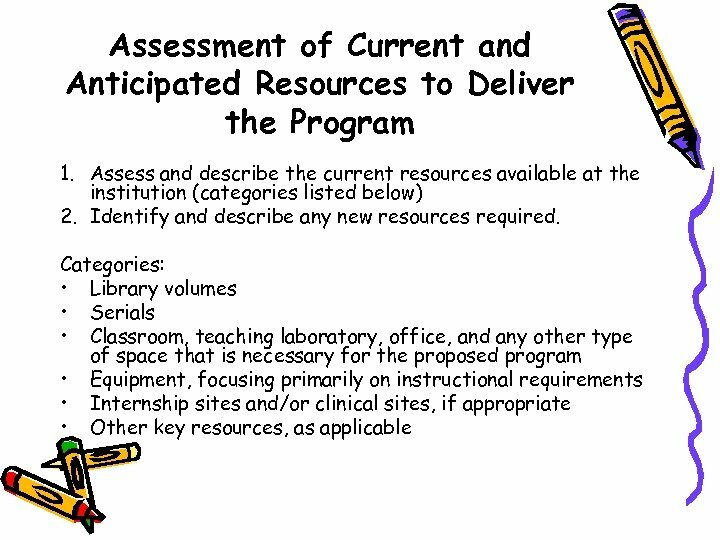 • Include a time line for proposed program implementation. 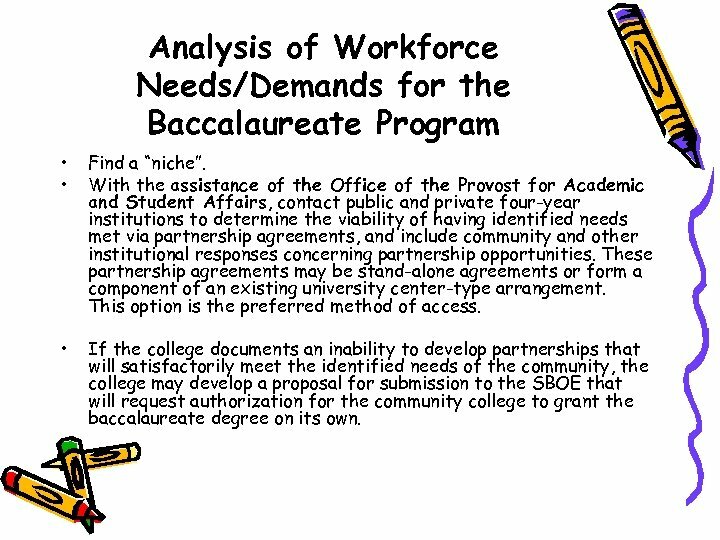 Analysis of Workforce Needs/Demands for the Baccalaureate Program • • Find a “niche”. 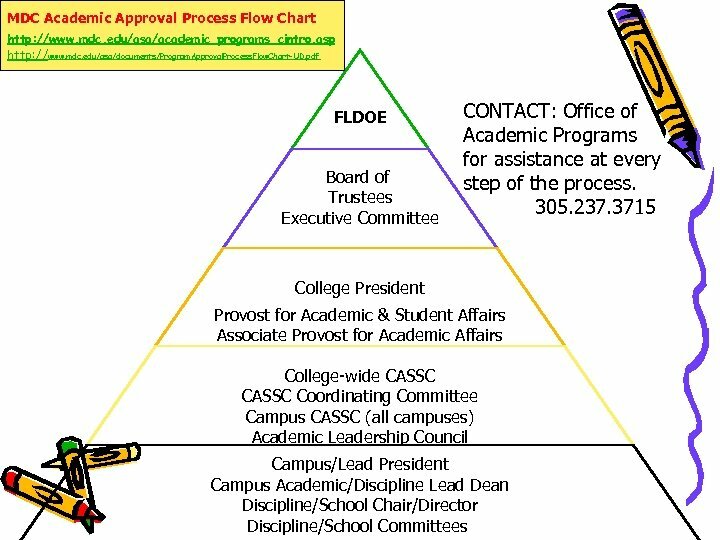 With the assistance of the Office of the Provost for Academic and Student Affairs, contact public and private four-year institutions to determine the viability of having identified needs met via partnership agreements, and include community and other institutional responses concerning partnership opportunities. 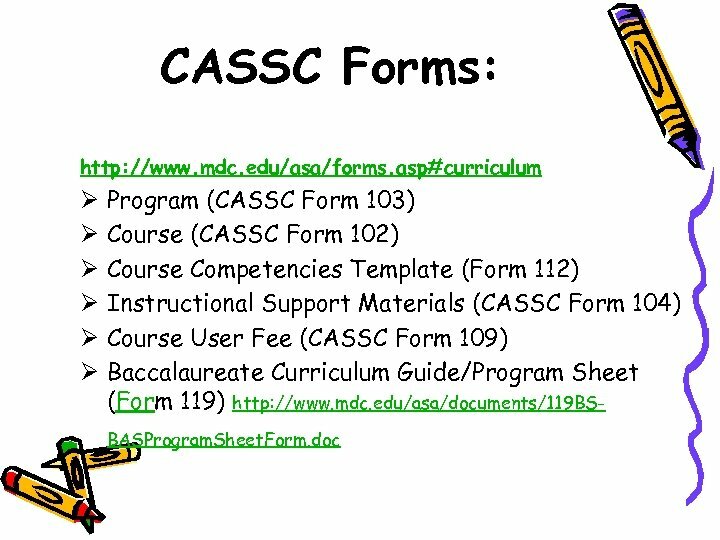 These partnership agreements may be stand-alone agreements or form a component of an existing university center-type arrangement. This option is the preferred method of access. 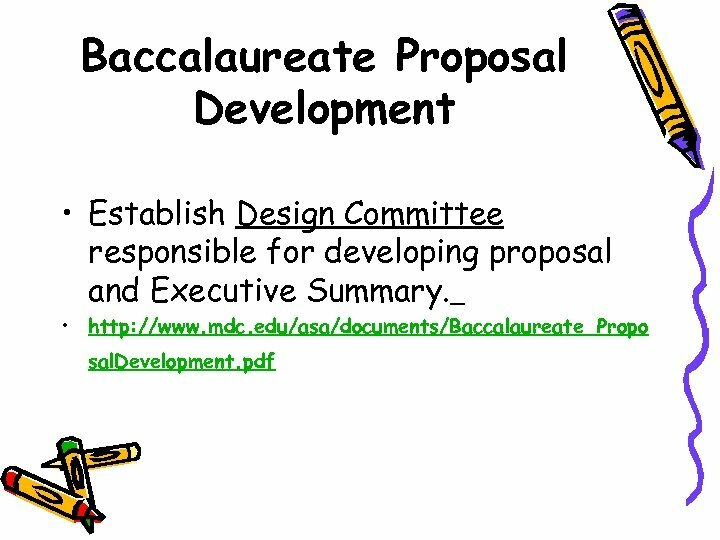 • If the college documents an inability to develop partnerships that will satisfactorily meet the identified needs of the community, the college may develop a proposal for submission to the SBOE that will request authorization for the community college to grant the baccalaureate degree on its own. 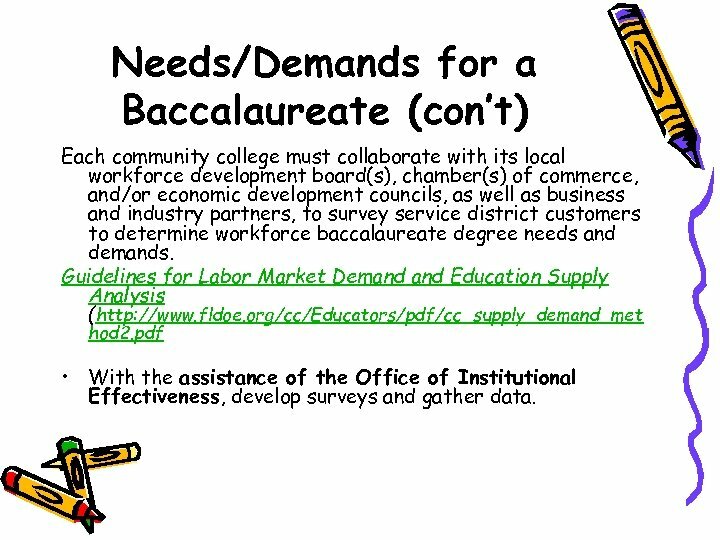 Needs/Demands for a Baccalaureate (con’t) Each community college must collaborate with its local workforce development board(s), chamber(s) of commerce, and/or economic development councils, as well as business and industry partners, to survey service district customers to determine workforce baccalaureate degree needs and demands. 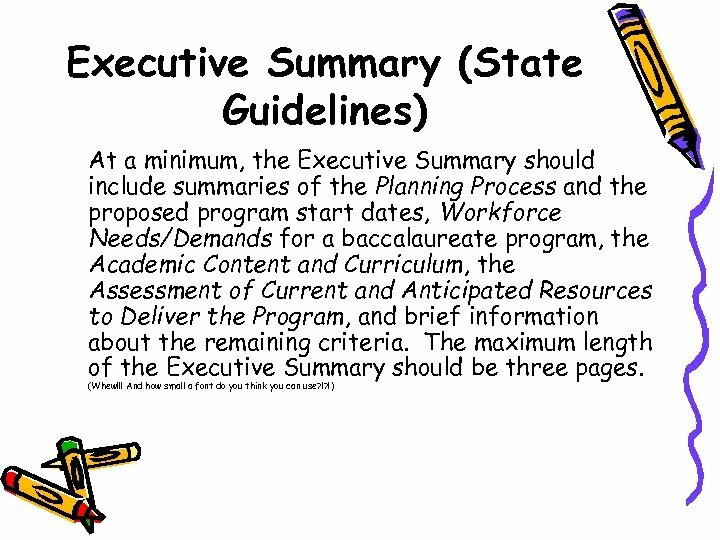 Guidelines for Labor Market Demand Education Supply Analysis (http: //www. fldoe. 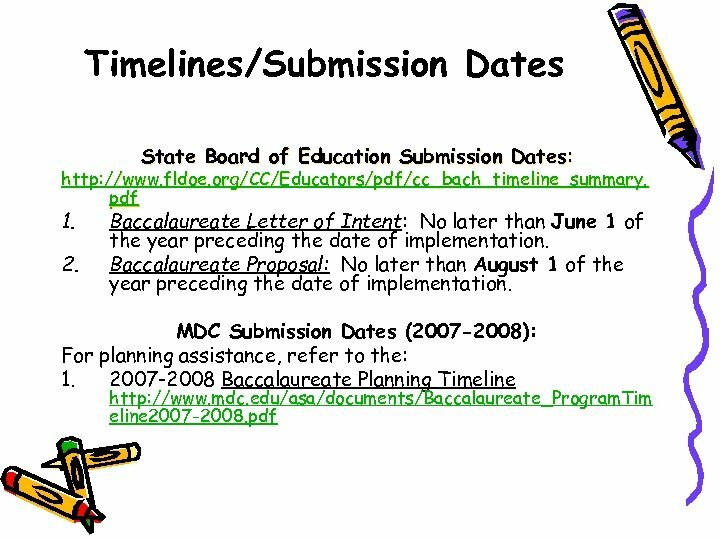 org/cc/Educators/pdf/cc_supply_demand_met hod 2. pdf • With the assistance of the Office of Institutional Effectiveness, develop surveys and gather data. 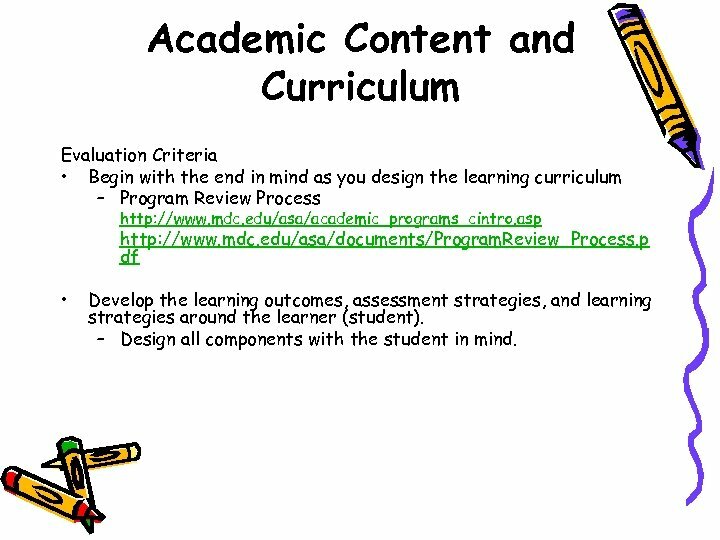 Academic Content and Curriculum Evaluation Criteria • Begin with the end in mind as you design the learning curriculum – Program Review Process http: //www. 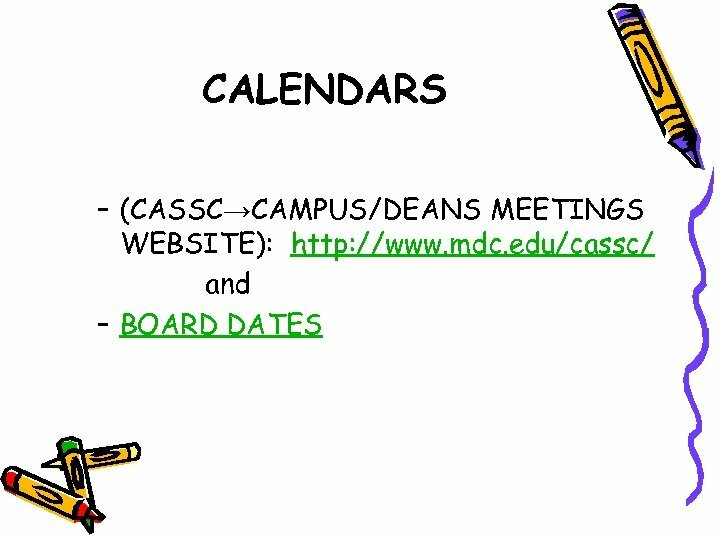 mdc. 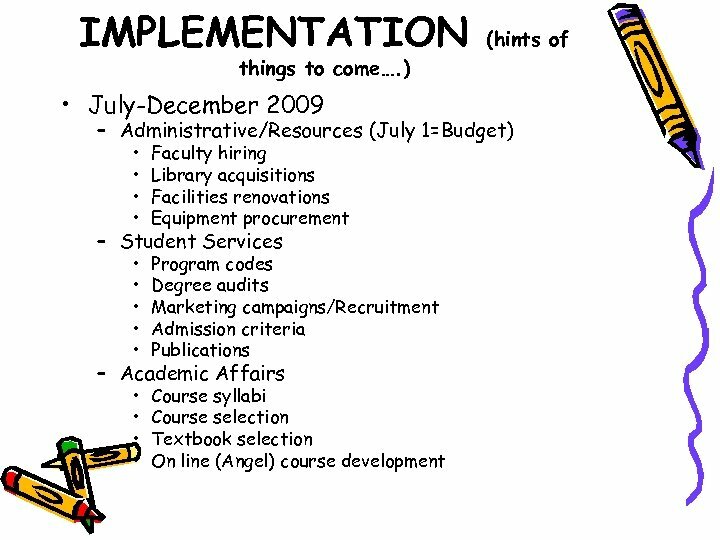 edu/asa/academic_programs_cintro. asp http: //www. 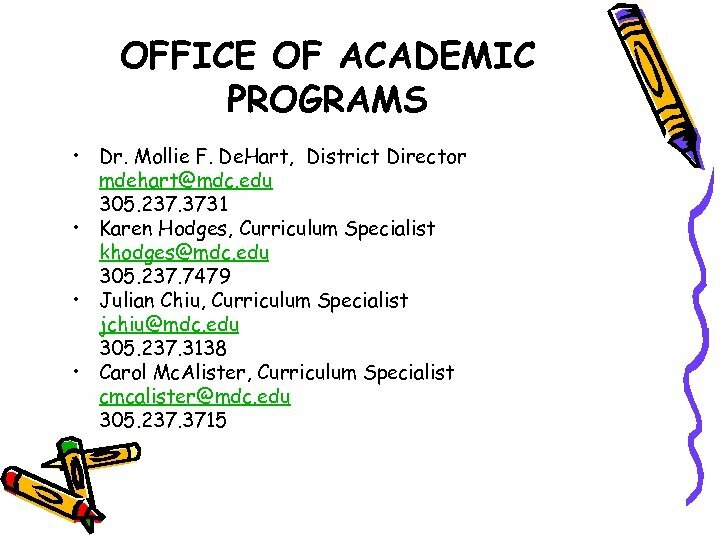 mdc. 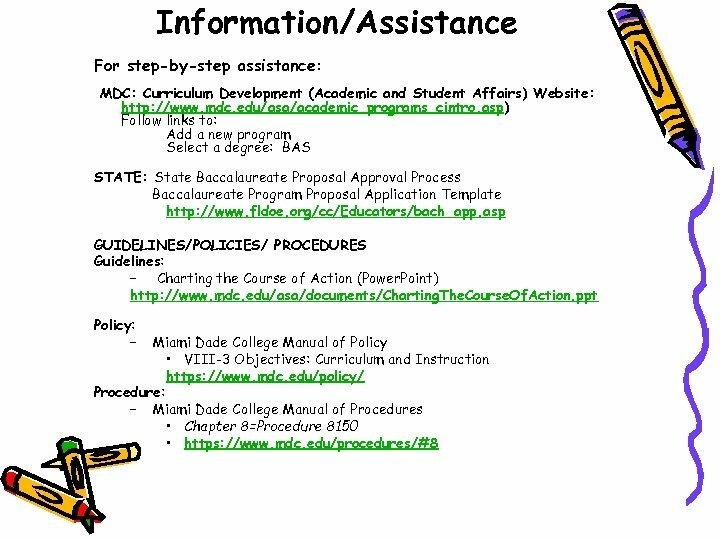 edu/asa/documents/Program. 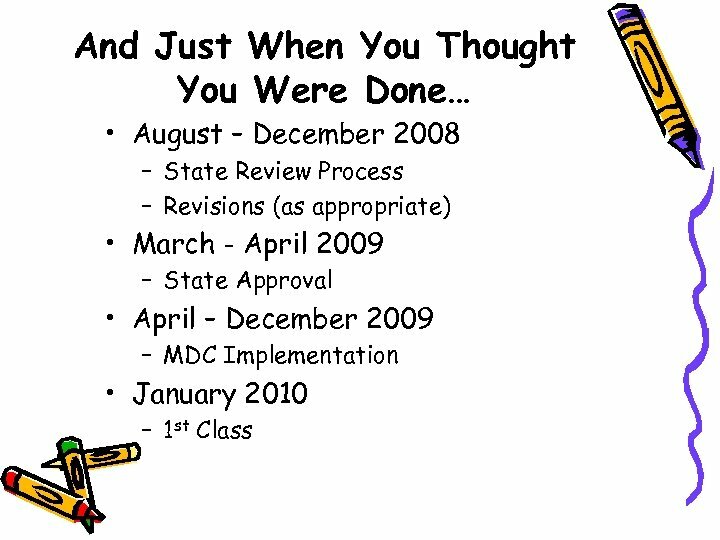 Review_Process. 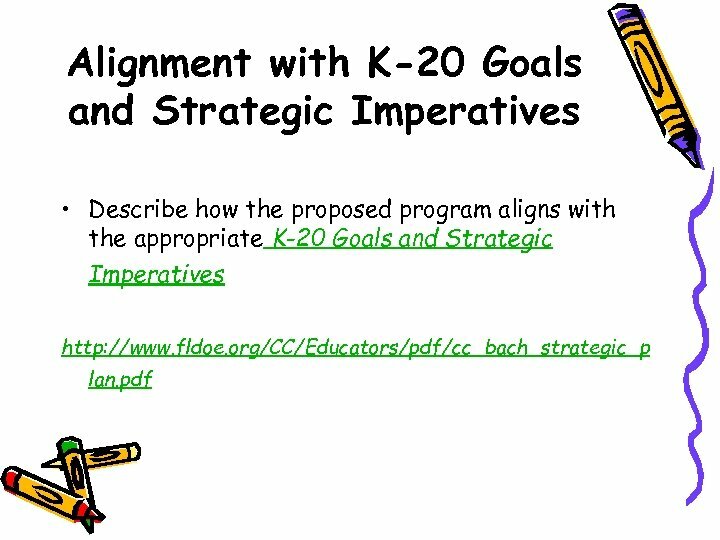 p df • Develop the learning outcomes, assessment strategies, and learning strategies around the learner (student). – Design all components with the student in mind. 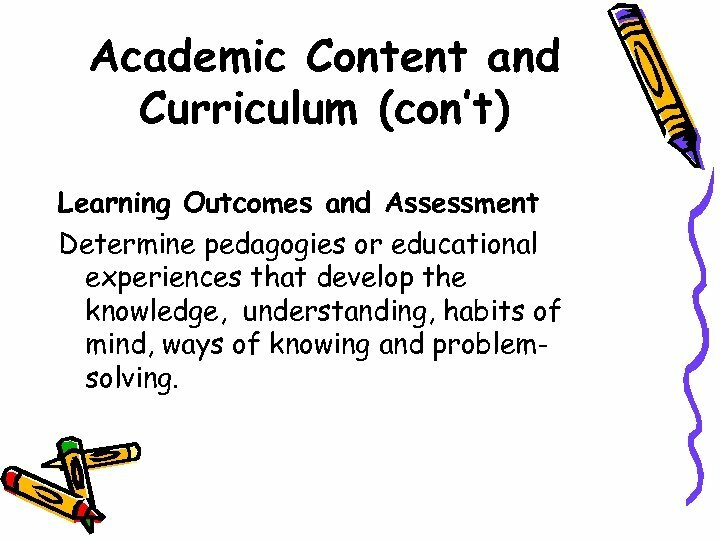 Academic Content and Curriculum (con’t) Learning Outcomes and Assessment Determine pedagogies or educational experiences that develop the knowledge, understanding, habits of mind, ways of knowing and problemsolving. 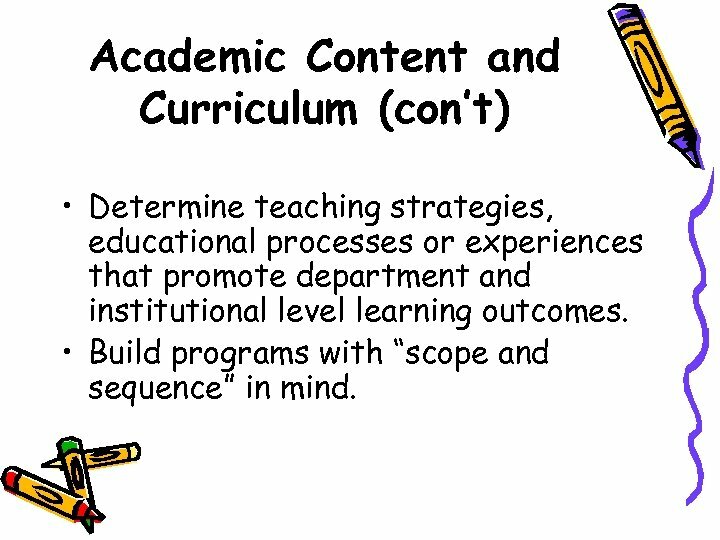 Academic Content and Curriculum (con’t) • Determine teaching strategies, educational processes or experiences that promote department and institutional level learning outcomes. • Build programs with “scope and sequence” in mind. 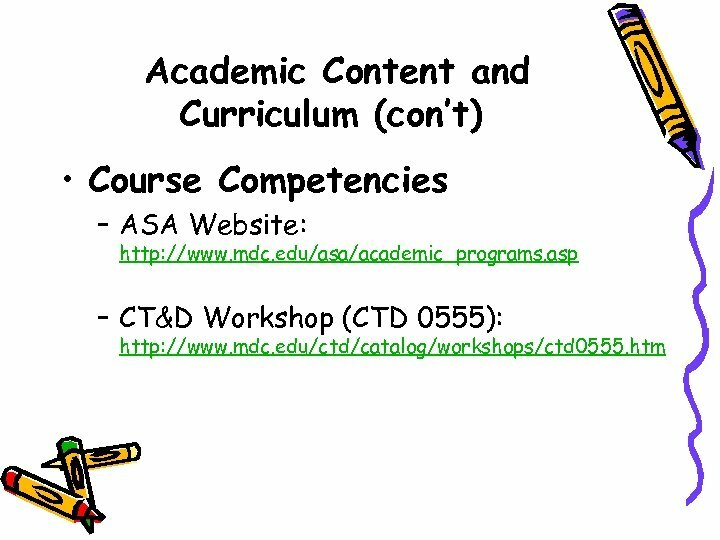 Academic Content and Curriculum (con’t) • What do you expect students to know and be able to do? 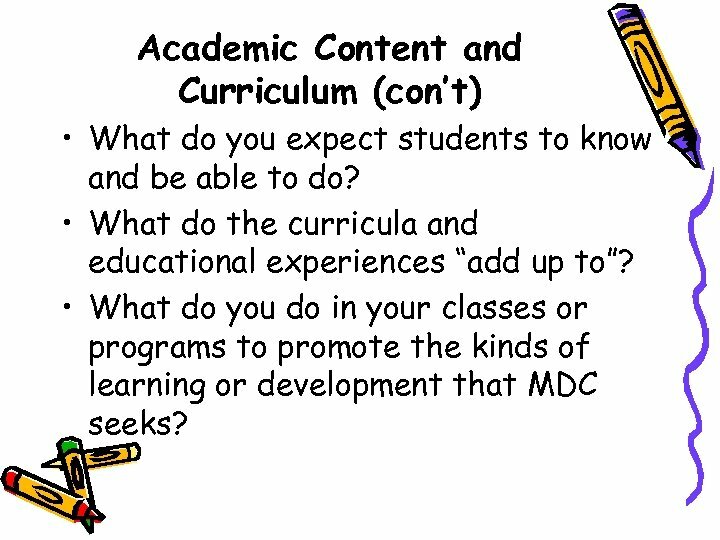 • What do the curricula and educational experiences “add up to”? 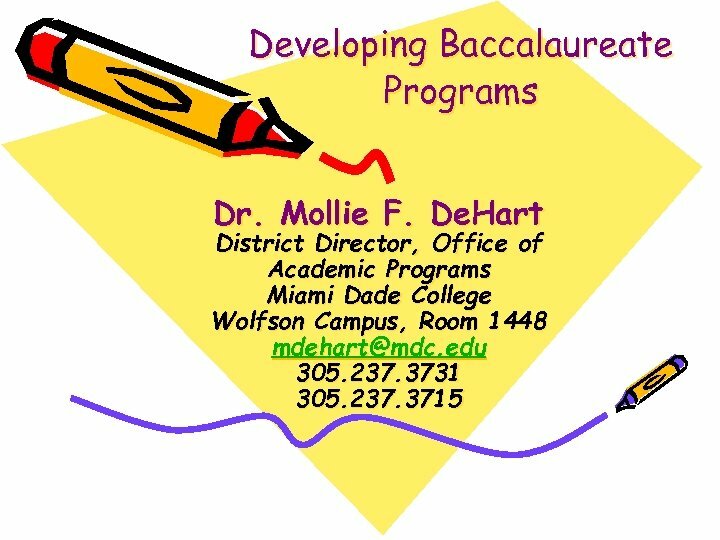 • What do you do in your classes or programs to promote the kinds of learning or development that MDC seeks? 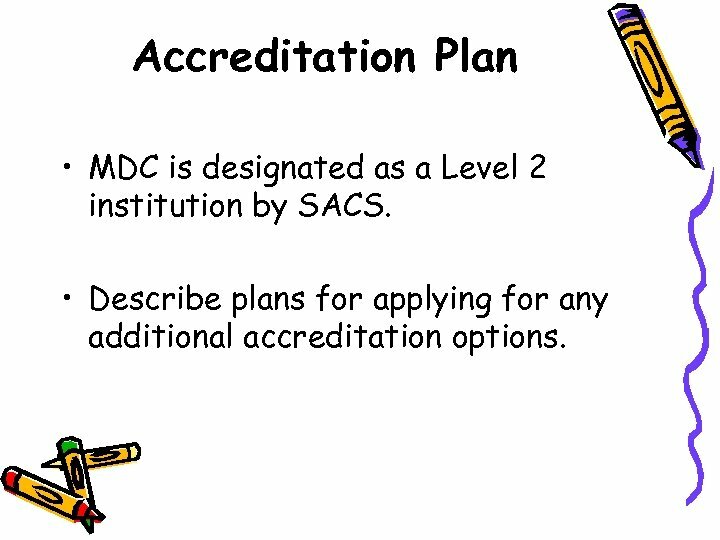 Accreditation Plan • MDC is designated as a Level 2 institution by SACS. 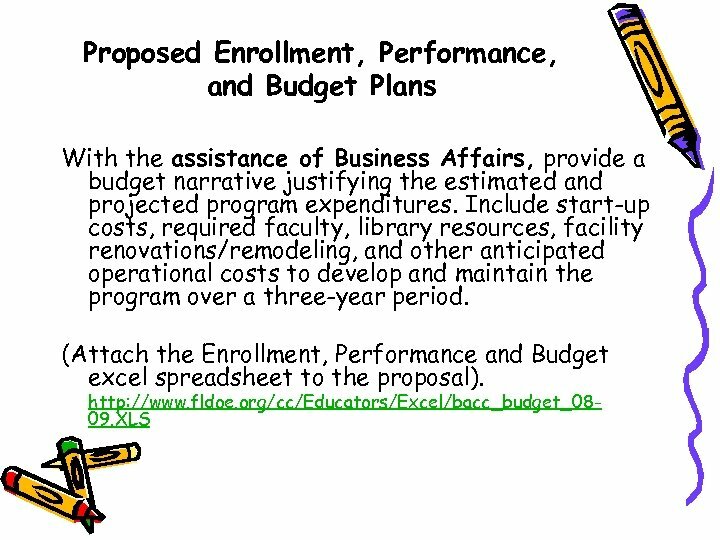 • Describe plans for applying for any additional accreditation options. 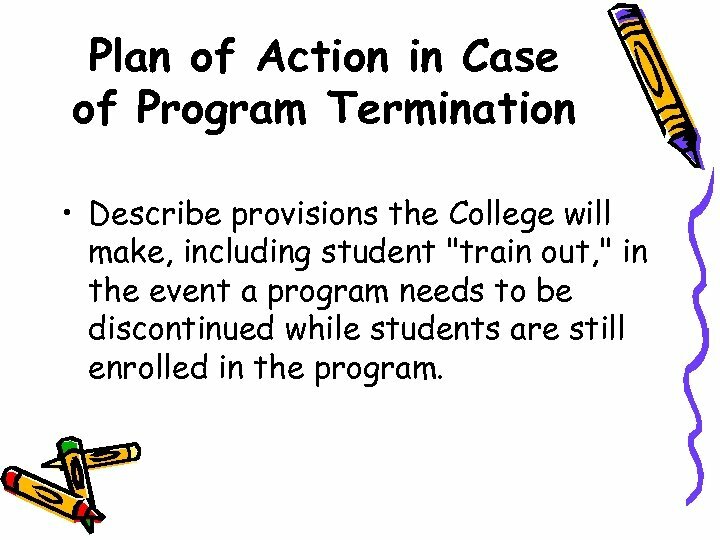 Plan of Action in Case of Program Termination • Describe provisions the College will make, including student "train out, " in the event a program needs to be discontinued while students are still enrolled in the program. 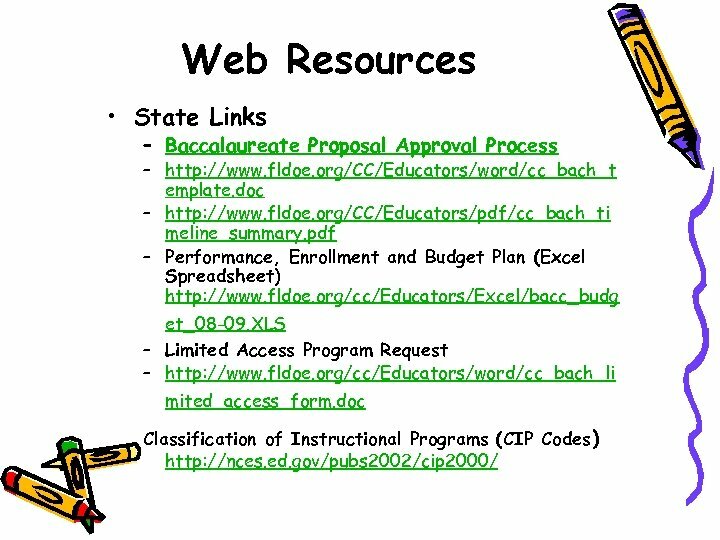 Bilingualism And Education in Canada Overview 1.